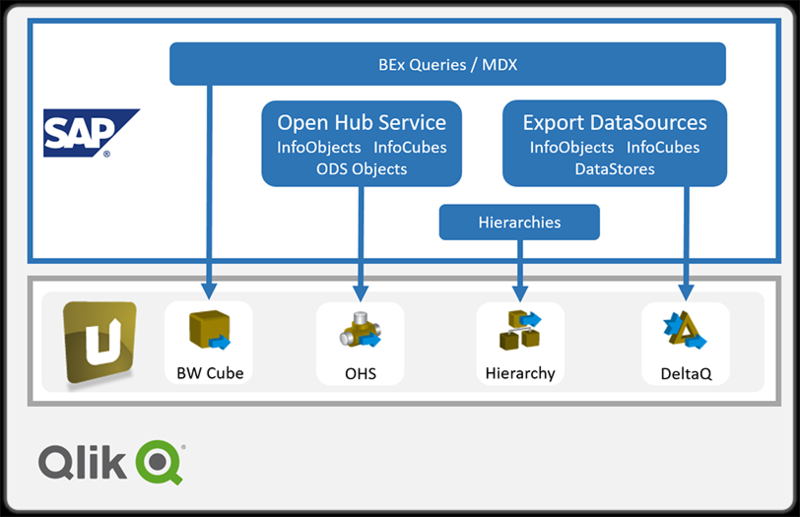 Integrate your SAP data in your Qlik Destination – fast, straight-forward and user-friendly. Qlik offers the option to create visualisations, dashboards and apps that answer your company’s most important questions. 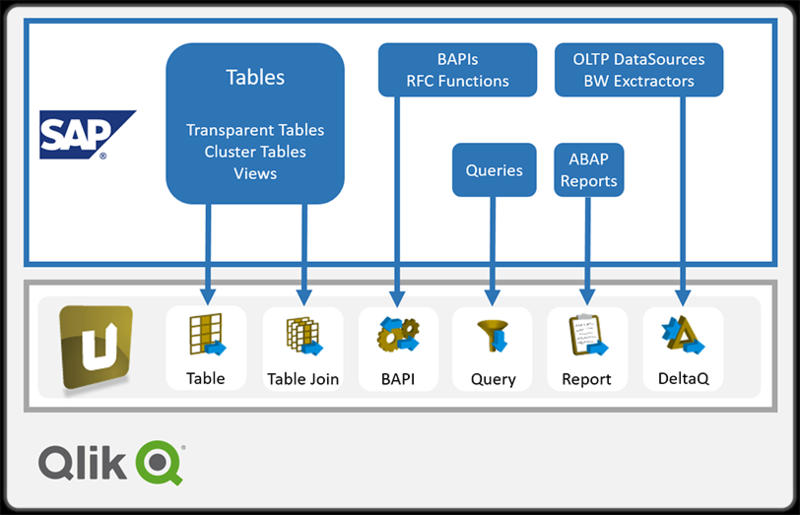 The central server component constitutes the data hub between SAP and Qlik applications. Extractions are created as well as accesses released and monitored for consumers via the Designer. 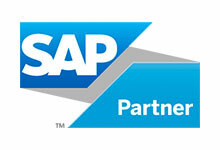 Access is to one or more SAP ERP or SAP BW systems.